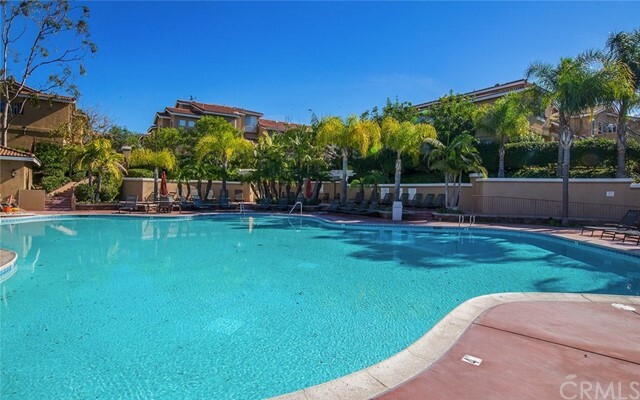 Welcome to the resort like living of the Monaco community. 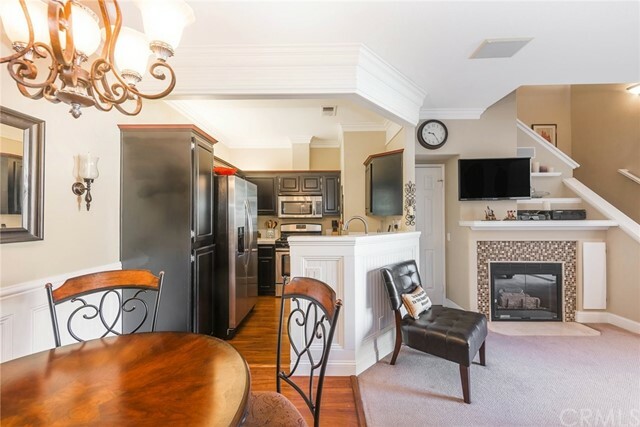 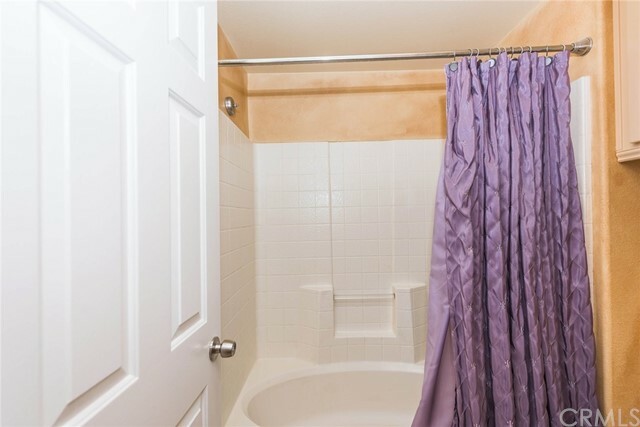 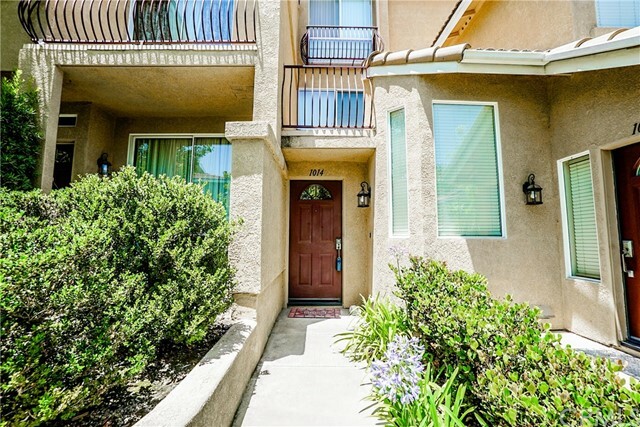 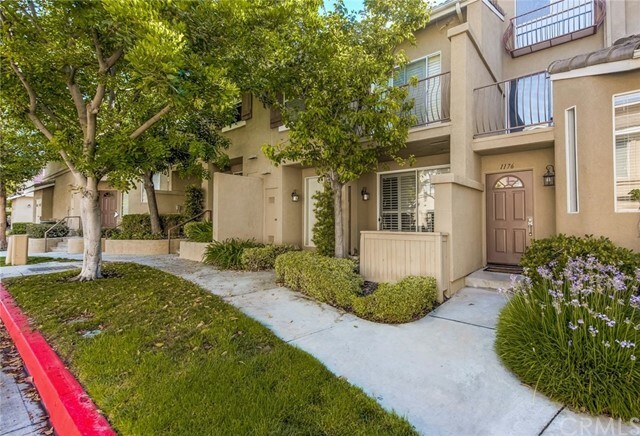 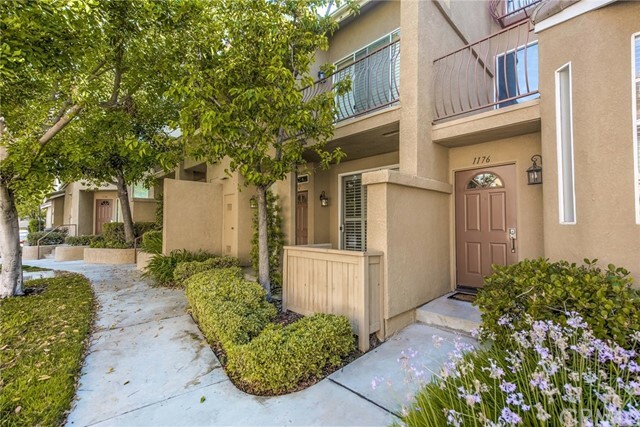 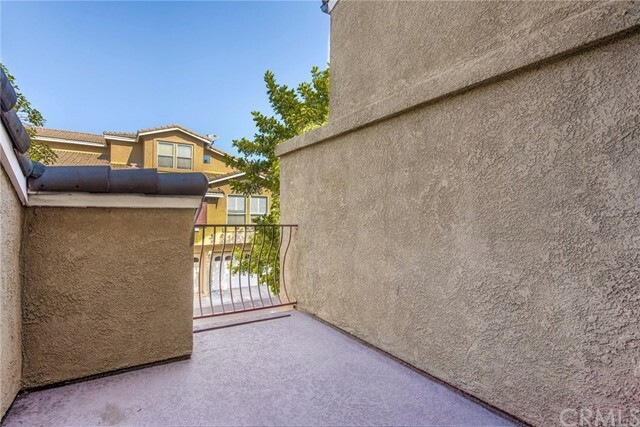 This 3 level upgraded 1 bedroom 1.5 bath open concept floor plan Condo comes with a 2 car tandem direct access garage with washer and dryer hook-ups. 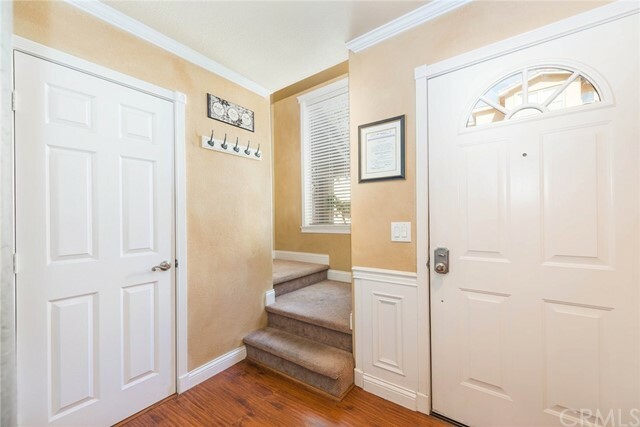 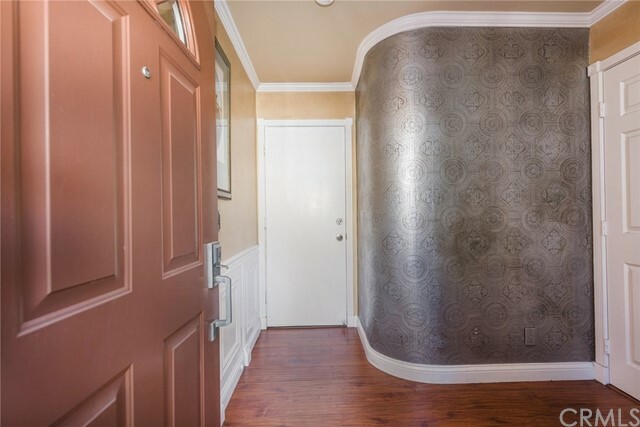 The entryway of the home sets the tone with custom painted walls and crown molding which is found throughout the home. 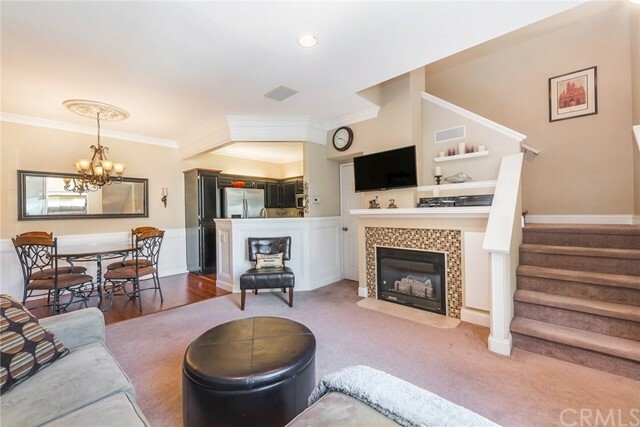 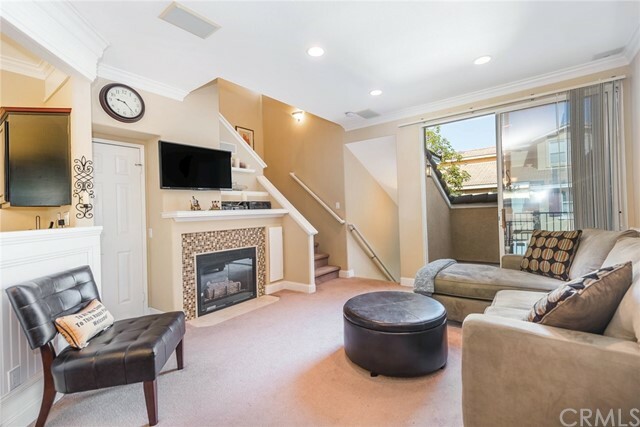 Go up the stairs to the open concept 2nd floor where the living area boasts a wall mounted television (negotiable) , surround sound speakers, recessed lighting, custom glass tile fireplace, custom built media niche and balcony/patio that's large enough for barbecuing. 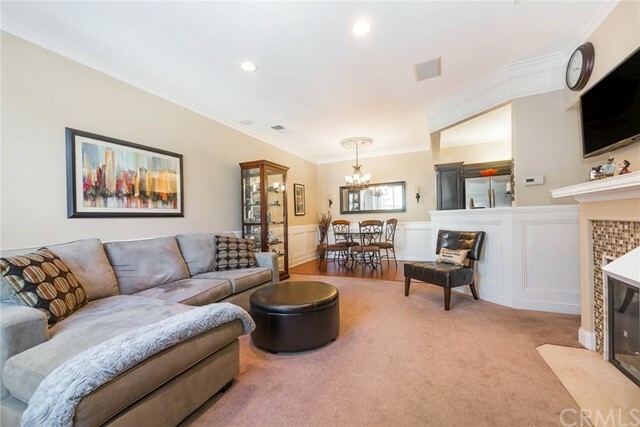 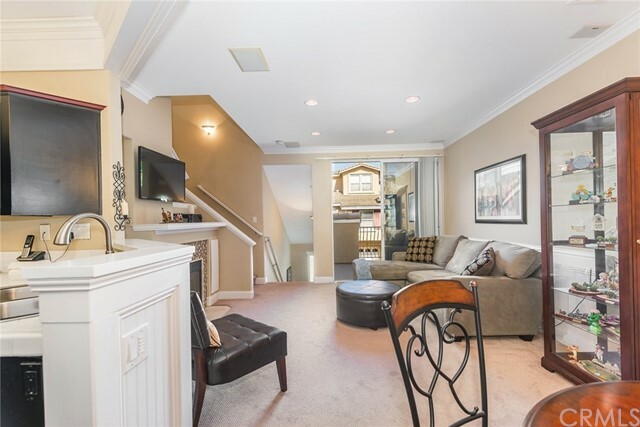 The 1/2 bath off the living area may go unnoticed but you don't want to miss it. 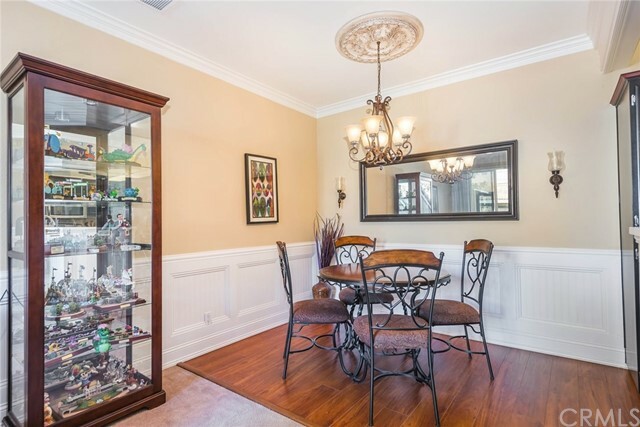 The dining area has a beautiful light fixture , framed mirror, 2 candle sconces and chair rail. 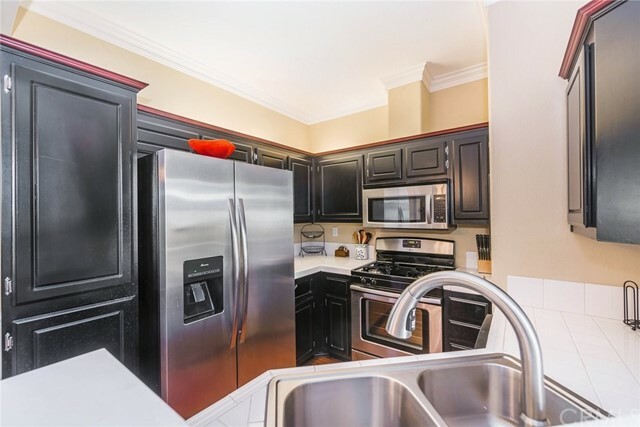 The kitchen has newer stainless double sink and faucet, stainless microwave, stove and dishwasher. 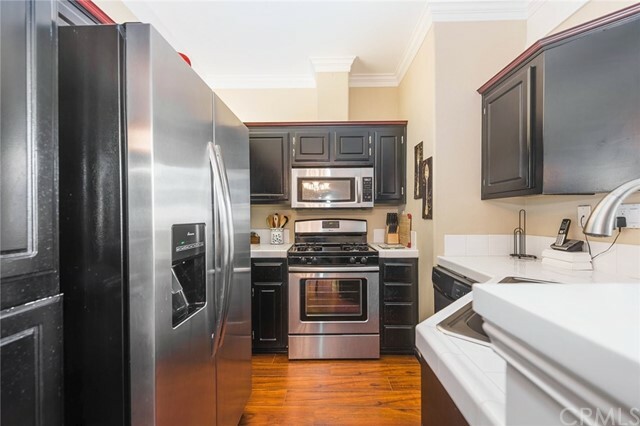 Side by side refrigerator is negotiable. 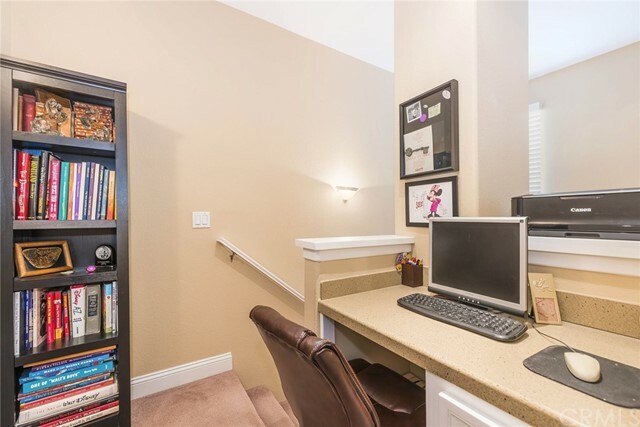 3rd floor you find a custom built work / study area just outside the bedroom door. 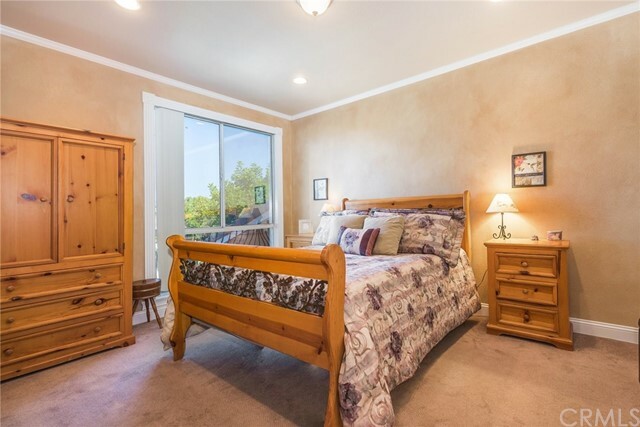 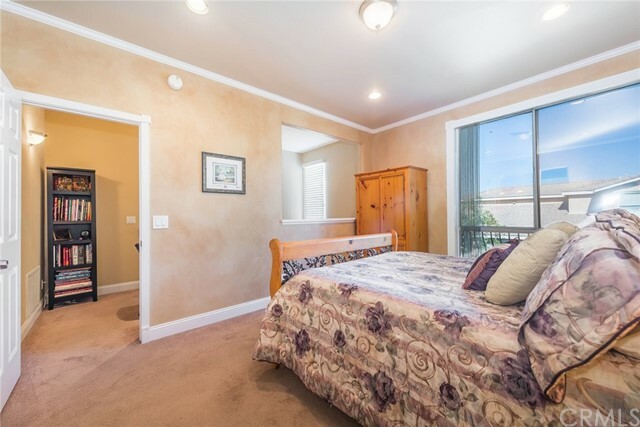 Open the Master bedroom door and you find texture painted walls, recessed lighting, center room light, vertical blinds. 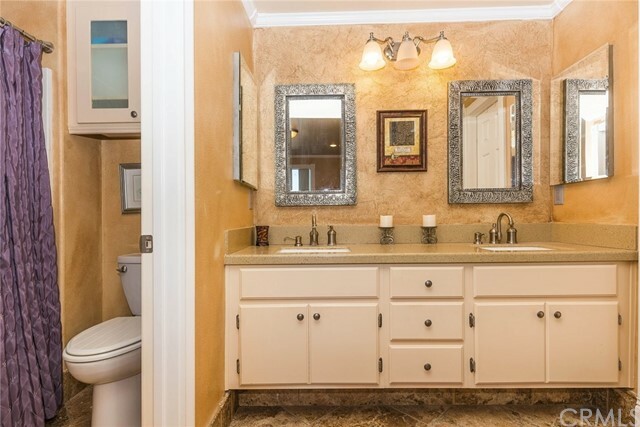 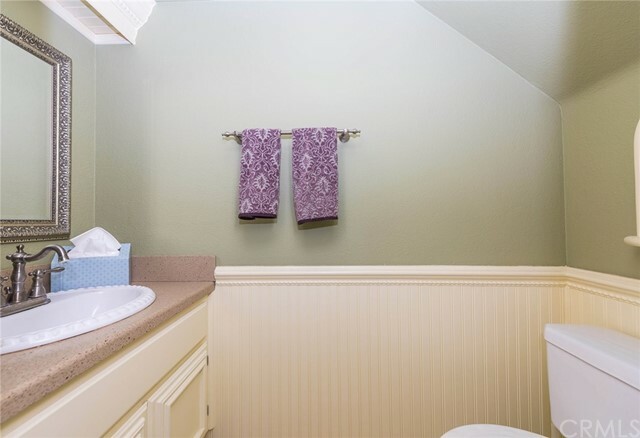 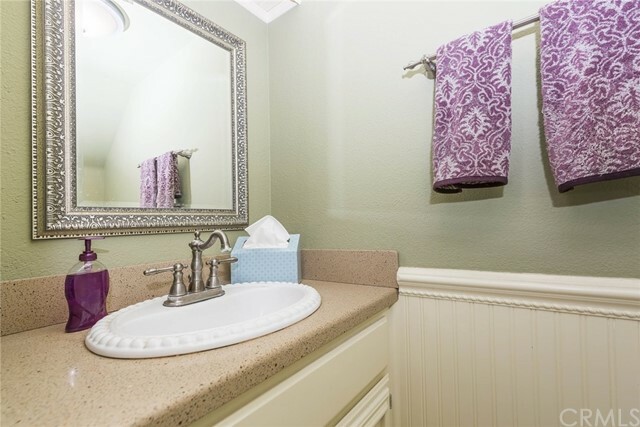 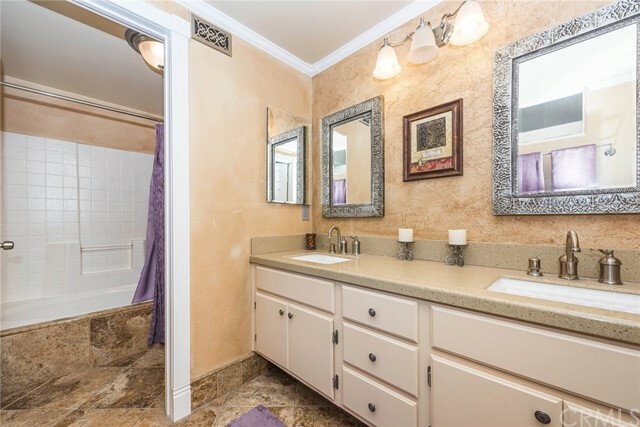 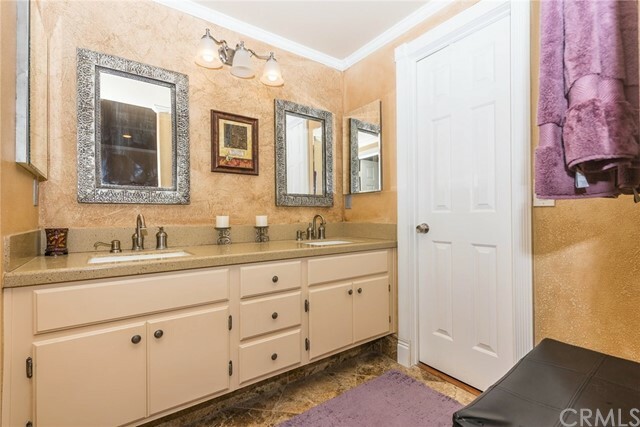 The Master bathroom has double vanity sinks, private toilet , large bathtub/ shower and walk in closet. 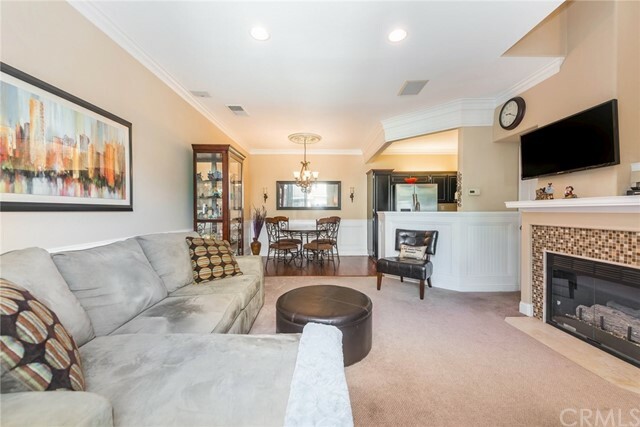 Monaco community has a beautiful pool, 3 spas, excercise room, clubhouse , barbecue , tennis court and more. . Quick access to 91 / 241 What are you waiting for ? 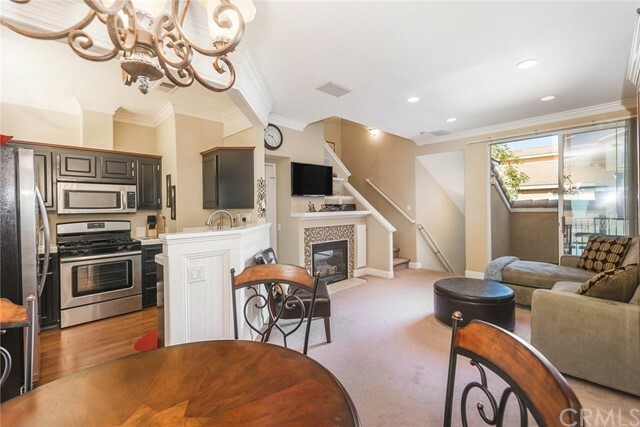 Come Home to Monaco!